Heat oil in a large skillet over medium-high heat, add turkey and cook until browned, stirring to crumble. Add taco seasoning and salsa. Simmer for about 5 minutes to blend seasonings. 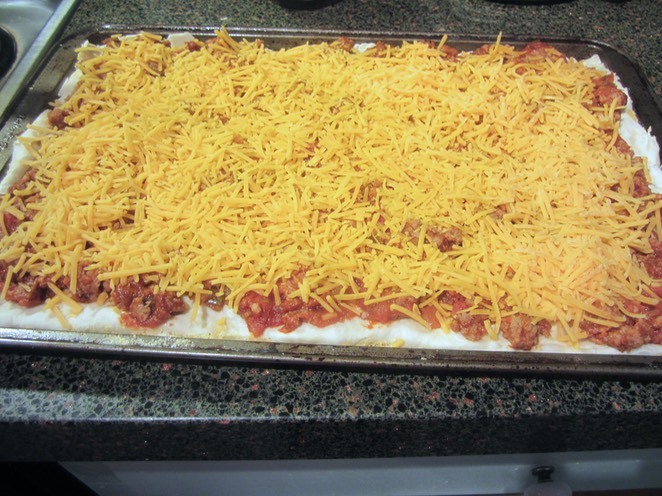 Top dough with turkey mixture, then top with cheese. Serve with any garnishes you choose.